Attention Couples: Read this before you visit the clerk’s office for your marriage license! Planning a wedding is an overwhelming task no matter how long or short the guest list is, but your wedding isn’t just about throwing a party. Marriage is a legal contract. This article explains what that means, and what you need to do to make sure you check all your boxes. We’ve all been to the DMV. We know that most interactions with government bureaucracy can be intimidating and/or frustrating. Although your wedding will be recognized by all states, many county clerks have different rules and requirements regarding the marriage license. That's why you should consider these following points before visiting your county clerk office to obtain your license. I’m typing this article and Microsoft Word is telling me that there’s a spelling error; apparently “bridesmen” and “groomsmaids” aren’t in the dictionary (yet). No Microsoft, I’m not trying to type “birdman!” Our friends from Redmond might not be in on the secret yet, but go to any millennial wedding these days, and you’re likely to see a few ladies standing beside the groom, and vice versa. It’s 2019 people -- let’s get with the times! 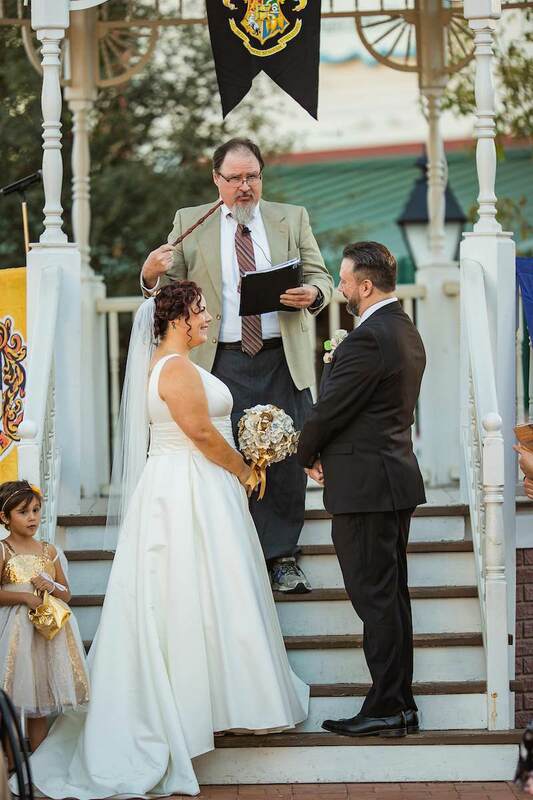 This Couple Celebrated a Harry Potter-Themed Wedding -- And It Was Magical! On their first date, James and Suzzana discovered that they had something very important in common. They were both huge Potterheads! Forget awkward, James and Suzzana spent hours on their first date chatting about their shared love of J.K. Rowling’s magical series.